Every day you don’t lose everything, you’ve made a 100% gain. Compared to the alternative, of course. Very few people think like this … except for the best investors. Everyone should think this way. We feel great when a position makes a gain. We’re bummed when it loses. But if you turn the investing equation on its head … look at it upside down … the same logic should apply. We should feel the same way about avoiding losses as we do about gains. But many people don’t. As I said, the best investors do. Warren Buffett, for example, says his No. 1 rule is not to lose money … and his No. 2 rule is not to forget No. 1. So, what are the best investors doing right now … the smartest of smart money? The answer will shock you … and chances are, it’s not what you’re doing. Institutional and big investors pulled $30 billion from global equity funds in June — the highest level since October 2008. Emerging market debt and equity funds have suffered major withdrawals for 10 straight weeks. Remember October 2008? Lehman Brothers had collapsed a few weeks before. Major stock indexes lost 60% of their value in short order. So where is this global money going? Into the U.S. market? Nope. Outflows from U.S. equities and exchange-traded funds totaled $24.2 billion in June … the third-highest ever and the biggest since 2008. A recent survey of investors with $5 million or more in investable assets shows that the smart money is fleeing equities and moving into safer assets. Only 17% said they will add to stock exposure in the next year. Where is this money going? Into “short-term investments” — cash, money market accounts, certificates of deposit, Treasury bills and checking/savings accounts. The mega investors are doing the same thing. They usually hold only 1% of their portfolio in cash. But Warren Buffett’s Berkshire Hathaway currently holds 400% more cash than its standard allocation … nearly 5% of its portfolio. And Ray Dalio’s Bridgewater Associates has increased the fund’s gold holdings by 535%, to 10% of its portfolio. Why are these successful investors fleeing equities and moving into cash, gold and other safe havens? I hate cash. But it’s a holding position until you find something else. The fact that interest rates are so low makes it hard for us to buy things because other people buy things with borrowed money, and borrowed money is so cheap. If we are competing with our equity money against slim equity plus a lot of debt, we’re at a disadvantage. In other words, Buffett believes that low interest rates have led to overvalued equities, and he’s going to keep his powder dry by holding cash until prices fall. But the Oracle of Omaha is also hinting at the most explosive threat of all: leverage. 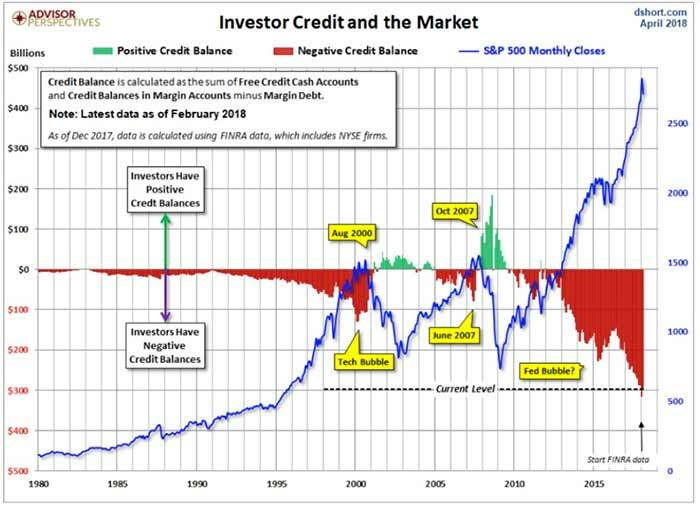 This is the real reason why Buffett, Dalio et al are holding cash and other safe havens … and why you should, too: Highly-leveraged equity markets are subject to more violent downdrafts as margin calls lead to forced sales. It’s the stock-market equivalent of a compound bow versus a normal bow. Small movements are magnified exponentially. And when those movements are downward, the rate and extent of the drop is magnified by leverage. 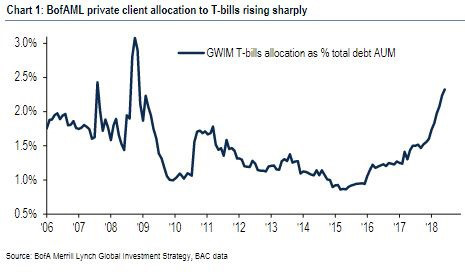 It gets worse: Many investors are borrowing against their stock portfolios. They use them as collateral for other lines of credit, for things like expensive houses and whole life insurance policies. The subtext … what Buffett isn’t saying but implying … is that he’s not going to waste his money chasing stocks that have been bid up unsustainably by overindebted investors. He’s going to wait until the whole house of cards collapses, swoop in with his cash to buy the undervalued debris and make money from value, the way it’s supposed to be done. Until then, he’s going to keep his powder dry by holding cash.